American soldiers watches as a villager who lost his house after the Americans dropped bombs on it the night before sheds tears. 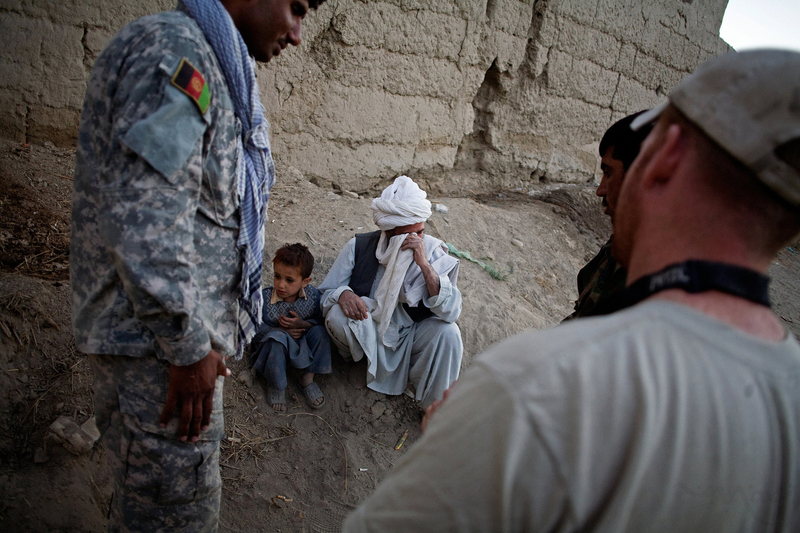 The villager alerted the Americans to the fact that the Taliban where holed up in his home. The Americans then bombed the home the following night. The man now was asking for compensation as everything he owned was destroyed in the attack. He now lives outside of town in a tent and was asking for food and clothing for this children.